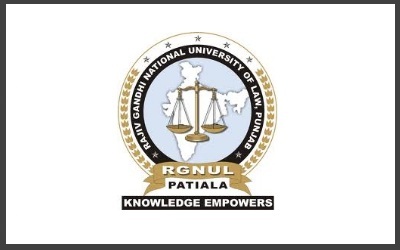 Rajiv Gandhi National University of Law (RGNUL), Punjab, was established by the State Legislature of Punjab by passing the Rajiv Gandhi National University of Law, Punjab Act, (Punjab Act No. 12 of 2006). The Act incorporated a University of Law of national stature in Punjab, thereby fulfilling the need for a Centre of Excellence in legal education in the modern era of globalization and liberalization. The Competition Commission of India (CCI), has been established by the Central Government with effect from 14th October 2003. It is the duty of the Commission to eliminate practices having adverse effect on competition, promote and sustain competition, protect the interests of consumers and ensure freedom of trade in the markets in India. The Commission is also required to give opinion on competition issues on references received from a statutory authority established under any law and to undertake competition advocacy, create public awareness and impart training on competition issues. The seminar will focus on objectives of Competition Law as an instrument for accelerating growth through innovation and economic efficiencies thus maximizing consumer welfare by offering better products at lower prices.